Vanderbilt's award-winning SPC system has been accredited to the NF A2P Cyber-RTC cybersecurity standard from the CNPP. The SPC intrusion system was tested by CNPP to ensure that it meets the latest needs for cybersecurity. The new Wisenet TNV-7010RC 3 megapixel corner mount camera manufactured by Hanwha Techwin has been designed to meet the requirements of police, prisons and mental health institutions where there is a duty of care to prevent inmates and patients from self-harming. The Wisenet TNV-7010RC has a built-in 940nm IR emitter which projects infrared light up to 10 metres at a higher wavelength than traditional red glowing IR lighting. Award-winning Smart Lock introduces a range of new features including Apple HomeKit and Zigbee compatibility. Genetec Inc. has announced a new version of Security Center, the company's open-architecture platform that unifies video surveillance, access control, automatic license plate recognition (ALPR), communications, and analytics. Oncam, a leading provider of 360-degree video capture and business intelligence technology, today announced the release of its new and improved Evolution 05 and 12 Stainless Steel Camera line with design enhancements that further position the device as the ideal solution for surveillance needs in the most demanding environments. The resilience offered by the proprietary HyperRAID technology suite recently introduced by Wavestore, means that the risk of data loss due to hard drive failure can now be reduced to practically zero. Internet-connected locks will become more mainstream over the next few years due to their affordability, new research suggests. Smart locks are gaining favour with consumers as one in four broadband households in the US intend to buy a connected lock in the next 12 months, according to new research. Google has been criticised for failing to tell users about a hidden microphone in ones of its home security systems. The technology giant said an "error" meant the microphone was not included in the online specifications for the Nest Guard, which have been available since 2017. Last week we announced the winner of our Lockexpo registration giveaway - this week we drew the winner of our LASM app giveaway. As part of a new centrally controlled vehicle security system, The North West Ambulance Service has recently updated the security of its premises at its Lancashire regional headquarters using Nortech's stainless steel bollards that house Nedap ANPR cameras. The North West Ambulance Service (NWAS) NHS Trust operates around 1,000 vehicles to provide 1.1 million emergency and non-emergency patient journeys. It was established in 2006 by the merger of ambulance trusts from Greater Manchester, Cheshire and Merseyside, Cumbria and Lancashire. The Lancashire regional HQ is based near Broughton in Preston. Video surveillance is a great way to enhance the security of your business. It not only lets you keep a watchful eye on your premises, but also acts as a visual deterrent to potential intruders. Nortech's new flagship boxed detector range boasts both intuitive and innovative detection technology packaged in a compact, slimline housing - which bucks the trend of its predecessors. UNION has launched a new range of accessories for its ExiSAFE panic exit devices (PEDs), which can be used in public and commercial buildings. 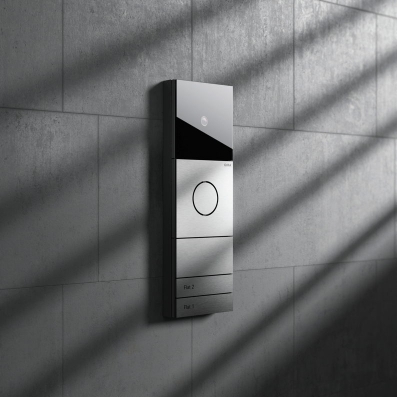 Gira, one of the world's leading full-range suppliers of intelligent system solutions for building management, launches the Gira System 106: a door communication system with user-friendly intercom. A dynamic statement piece for the home, the Gira System 106 is a highly flexible modular door station with intercom function, which can be enhanced with a range of optional Gira modules which include Door Station, Intercom, Call-button, Camera and Display Modules. Congratulations to Mark Jones of Car Key Group on winning the Lenovo Tab 3 Essential 7-Inch Tablet in the Lockexpo pre-registration draw! Everyone who pre-registered for the show and attended on the day was entered, and the winner drawn at random. Visitors to The Security Event will be among the first to see live demonstrations of some of the latest products to be launched by Tyco, the security division of Johnson Controls. When ievo was founded in 2009, restricting access using biometric technologies was far from mainstream. Fast-forward to 2019, and two-thirds of us (67%) have biometric technologies such as fingerprint readers integrated within our mobile phones. Lockexpo - What A Weekend! Lockexpo is all over for another year, and what a show it was! We had over 1000 visitors, and the East Midlands Conference Centre was buzzing all weekend with locksmiths learning new skills, bagging bargains, making valuable contacts and catching up with friends and colleagues. Access control systems allow businesses to mitigate security risks by providing an efficient and secure way for employees and visitors to obtain access to areas of the business in which they have permission. Comprising of systems such as key fob entry, video surveillance, pin codes and even biometric scanners, an access control system provides a simple way to monitor access and prevent security breaches. Hickleys, the vehicle key programming specialist, are explaining the opportunities in key programming at two presentations being held around the country this month. 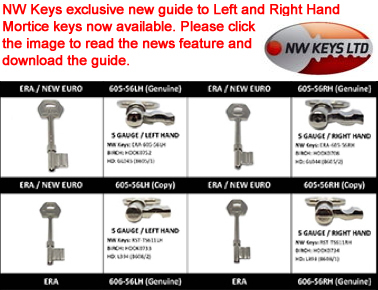 The ability to copy or program vehicle keys and remotes adds additional business to service and diagnostic garages, car sales and main dealers, plus key cutters and auto locksmiths.